Embrace your inner child….Let go, laugh and see the world differently. 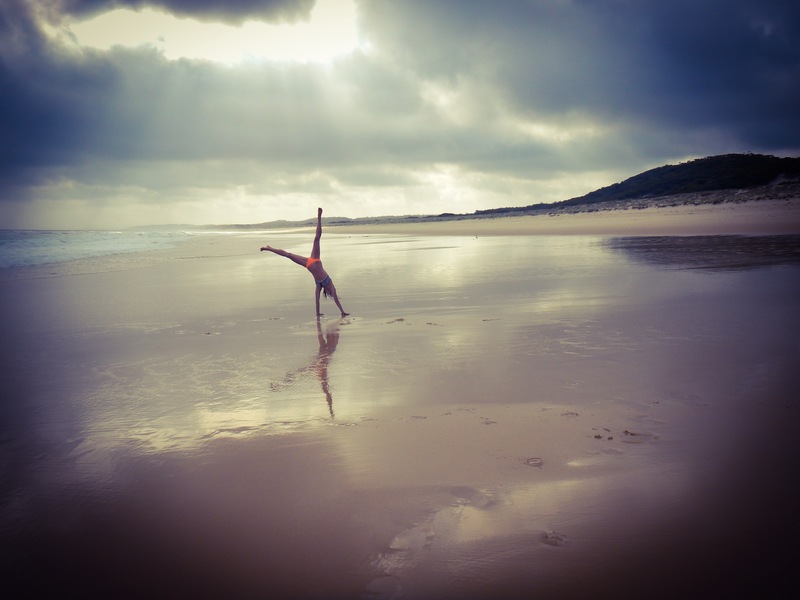 One of the most popular posts on https://www.facebook.com/mytravelust this week was this photo…..It’s of me doing a cartwheel on the beach up at ‘Seal Rocks’… a camping spot in Myall Lakes National Park, about 3hrs from Sydney. The caption to the post was ‘If we could all see the world through the eyes of a child, we would see magic in everything!’ and i was urging my gorgeous clients and followers to try and embrace their inner child more…. By letting go, having a laugh, making time for play, getting active and to embrace the innocence of a child. To open your eyes to the world with innocence, wonder and fascination. I’m not sure what brought it to mind. Maybe it was seeing how much fun my friends kids we’re having on the trampoline at a 3yr old birthday party, or maybe it was saying goodbye to a beautiful soul, taken too soon, but it got me thinking about how seeing and experiencing the world through the eyes of a child would be a pretty magical thing. Can you remember what it was like experiencing something for the 1st time as a kid? I don’t know about you, but there was ALWAYS something exciting to see, do, touch, feel, eat, drink etc… You had no preconceived ideas, expectations or ideals of how things should be. There was no discrimination or judgement of others, and you made new friends everywhere you went. There were no real rules about how we should behave (or if you did play up a bit, you we’re a kid, so it was expected and you’d soon be forgiven). You weren’t self conscious, you were brave and you were willing to try new things (as long as Mum or Dad held your hand). I loved being a kid and I love the idea of embracing these qualities in life as an adult. Yes, i understand that there are more consequences for our actions as an adult, but so many of these traits can be embraced and I believe that if we all took the time to act like kids more often, we’d all be happier and we truly would see the magic in everything! So, where in the world would be the BEST places to let your inner child run free? Here are 3 of my FAVE holiday ideas that would feed the inner child within us all! Is there really any other destination that could be #1? Come on… I don’t care how tough you are, EVERY kid either wants to or has wanted to go to Disneyland, and even as an adult, there is something about walking through those gates, to the ‘happiest place on earth’, that gets under your skin. You can’t help be amazed by Disneyland and being a big kid makes it all the better! Wide eyed you look around in wonder at the parade of characters passing you by, you take a spin in the tea cups (which spin a lot faster that you might think), you run from ride to ride to make sure you don’t miss anything, and yes.. you take the ‘Its a small world’ boat ride, and sing along (for the 1st couple of rounds anyway, then it gets annoying and stuck in your head for the rest of the day). After eating your weight in hot dogs and fairy floss, purchase your Mickey Mouse ears and ride the famous Ferris wheel, you stand there in awe as the fireworks display caps off a magical day. As you wander back to your hotel, you start to think that yes, maybe Disneyland really IS the happiest place on earth. Disneyland aside, California also has loads of other attractions where you can take that inner child out to play. Universal Studios, Magic Mountain, Knotts Berry Farm, Hollywood, Legoland, San Diego Sea World and San Diego Zoo to name a few. From brushing shoulders with your favorite movies stars, to riding the fastest most vertical roller coasters in the world… I know that when I’m at a theme park, any day to day ‘adult’ stresses are easily forgotten. So, take the time to have a laugh, eat too much sugar, scream your head off and enjoy the ride (pun intended). 2. Any SKI RESORT in the world! A snow holiday has got to be on your list for an escape, that would transport you back to that moment in time when you were fearless, carefree and in awe of mother nature. 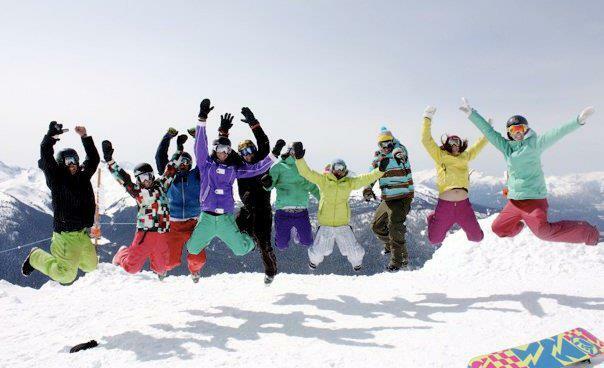 Ski resorts these days offer a plethora of activities that will bring out the big kid in everyone. Tube parks, Terrain parks, Ski and Boarder cross courses, Ice skating, Snow shoeing, Ski and snowboard camps & lessons for people of every age and experience level… the list goes on! Some of my faves? Whistler Blackcomb, Canada is hard to beat, as it’s North Americas largest resort and offers so much terrain and a hugggeeeee range of activities including most of the above mentioned non skiing attractions. Hakuba, Japanis still emerging as a world class ski village, with 7 mountains to explore and the fluffiest white POW you’ll ever ride… plus the vending machines that dispense beer are of course a child like (yet adult version) novelty. Vail, Colorado – USA is another awesome resort, with an awesome village vibe, great terrain and another HUGE range of non skiing activities like ten pin bowling, movie theaters, snow snowmobiling and more. In Europe, it’s hard to pass on 3 Vallees ski area. It’s the largest ski area in the world, and is made up of 8 separate ski resorts and 600km of interconnected terrain. WOW! Want to be a big kid? Rug up, take a walk in the snow, let go, fall back and make a snow angel. Throw a cheeky snowball at your best mate and race each other down the mountain. Take a chance, make that turn, do that jump or slide that rail..The ski fields will bring out the big kid in everyone. 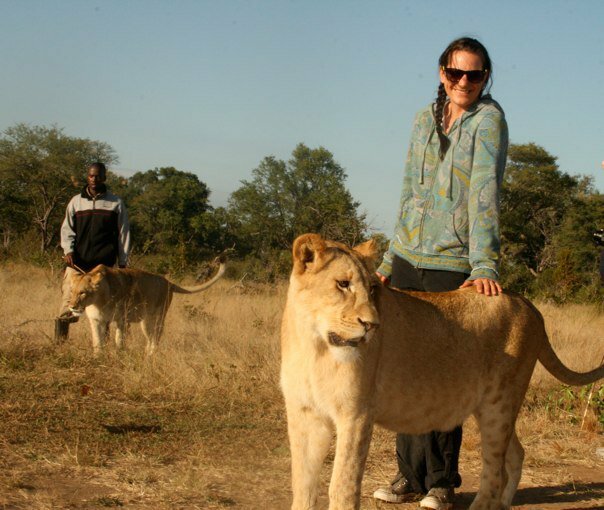 When chatting to friends and clients Africa is on almost everyone’s bucket list, and having been there a couple of times, there is no other place that has opened my eyes more to the people, the culture and of course the animals. I mean, who doesn’t want to see the Lion King come to life? To explore this fascinating continent like a child just embrace that quality of wide eyed wonder and anticipation, that is so often lost as an adult…. Imagine you’re on a safari in Kruger National Park and you are in an open topped vehicle with a ranger by your side. You know there are lions in the park, as your guide has pointed out their tracks and you’ve seen where they spent the night and where they made their last kill, but where are they? The truck crawls along at a snails pace, quietly, slowly in the hope of rounding a corner and finding a lioness with her cubs. As adults it’s easy to lose hope, get disheartened, bored, impatient even. You’ve seen safari’s on documentaries and you expect to see what you’ve paid to see and it can sometimes take hours to see anything of particular note. On the flip side I’ve watched kids on Safari and they don’t have that.They remain focused & patient and they are excited to see what awaits around that corner. They have no preconceived ideas of what they are supposed to see and EVERYTHING amazes them. Be it 10 minutes or 2 hours they are ready for it, often the first to spot the king of jungle when he finally wanders sleepily across the very road you are traveling, blissfully unaware that we are waiting for him. Amazing! Africa is SO diverse that apart from the safari’s and the anticipation of seeing your favorite African animal in the flesh, you can be cage diving with great white sharks one day, and dancing with the Masai Mara the next. There are SO many options when it comes to seeing Africa. From fully guided tours and safaris, to self drive itineraries you can do it your way… but by stepping out of your comfort zone, embracing the culture, throwing out judgements of yourself and others, and trying new things…you will discover more of yourself and what you are capable of. Kids do this well… so take a leaf from their book and be silly, participate in those dances, try that strange local delicacy and have a good laugh at yourself. I hope you choose to take note of some of my insights into travel and how to see the world we live in differently. There is a lot to be said for seeing things the way a child would see it, or acting the way a child would act, so for your next trip why not choose something that will help you embrace that, and let go a little! Life is too serious to be serious all the time, and if we are true to ourselves….Dance if we want to dance, sing if we want to sing, and scream if we want to scream, i think life and travel would be a lot more real and a lot more fun, and we’d have friends all over the world. What child like qualities would you want to embrace when traveling? What destinations do you think would be perfect to let go, have a laugh and be a big kid? Share with us, as I’d love to hear your thoughts!